Pronto PR is my business. I love nothing more than helping events, businesses or projects tell their story. Engaging with the right audience is what I love to do. I’m a public relations consultant with 20 years experience in media strategies, publicity, communication and event management with expertise in tourism, food and wine, major events and motorsport. When larger projects require more staff, I utilise the skills of talented specialist sub-contractors to assist. 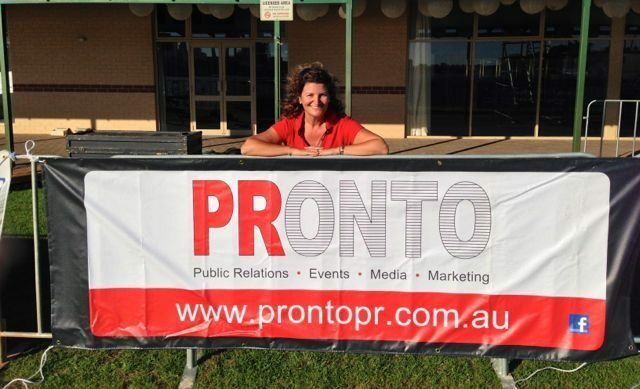 I’m a member of the Public Relations Institute of Australia (PRIA). I’m also a freelance food and travel writer – a recent addition to my career path that has stemmed from my passion for writing about the things I love – food and travel. I have had articles published in Latte magazine (Business Chicks member’s magazine), Luxury Travel magazine, Italianicious magazine, Escape Lounge, as well as in a number of local newspapers. For more about my career, check out my profile on LinkedIn.